Aswan has always been a city of a great importance, it is considered to be a central market although it’s the smallest of the three touristic cities on the Nile, it used to be Ancient Egyptian’s gateway to Africa and was in the ancient time a garrison town for the military campaigns against Nubia. 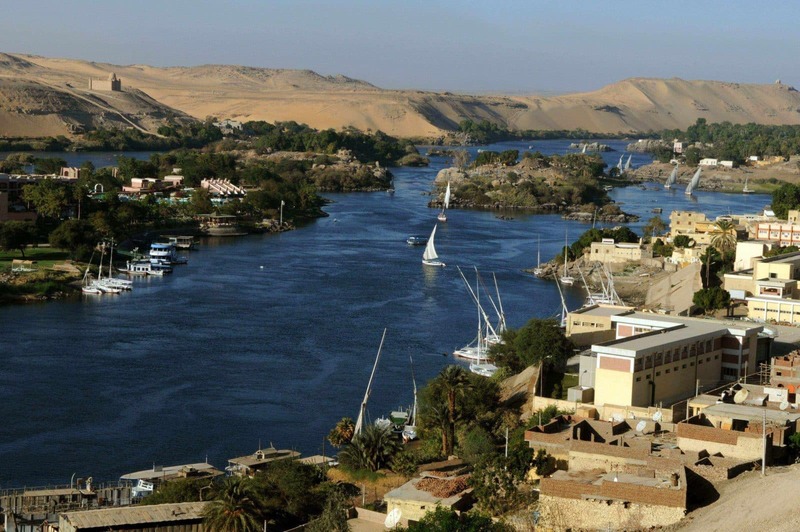 It’s a city in the south of Egypt that is located 680km south of Cairo just below Lake Nasser and Aswan High Dam, it has a population of 275000, it has a large population of Nubian people, the Nile is 650m above Aswan. It is the ancient city of “Swenett”, a name that derived from an ancient goddess, who was identified later as Eileithyia by the Greeks. Swenett was the southernmost town in Egypt, it was also important as a military station as under every dynasty, it was a garrison town. its location was an object of great interest to the Ancient geographers. it was so important as it controlled all communications of the Nile, the tombs in Aswan play also a great importance as they represent the old and middle kingdoms that are opened for visitors today so that they have an insight into the greatness of the Ancient civilization. There were fields of Syenite granite, quarried for the wealth of shrines and monuments around the country, including many pyramids, which makes it a unique touristic place. Aswan has a hot desert climate just like other countries in Egypt. It has the driest and hottest climate in compared with other cities. The average of its temperature is above 40c in summer. It is sunny most of the year and clears which makes it fascinating and unique in all seasons of the year. Nubian Museum is located in the southern part of Aswan. It contains remarkable Nubian treasures that have survived before the flooding of Nubia. The Unfinished Obelisk is the largest ancient obelisk that was built by Queen Hatshepsut as a complement to the Lateran Obelisk. The Fatimid Cemetery is located over a small hill and contains 80 tombs that date from the seventh to the 12th century A.D.
Ferial Garden is located in the middle of the city. A very interesting place that has emphatic views along the River Nile from both directions. Philae Temple was built by the Ancient Egyptians for the goddess Isis, the wife of Osiris and the mother of Horus, who are the three prominent ancients representing the Shakespearean drama. It started by Ptolemy II and completed by the Roman Emperors. The High Dam which is an embankment dam that was built in Aswan between 1960 and 1970. It helped in the agricultural process and in providing many jobs for youth in Egypt. It provides water for about 33600km of irrigation land. -Having Nile Cruises: which allows you to have a closer look at discovering the fabulous beauty of Egypt while enjoying the beautiful weather. -Trips to Abu Simbel from Aswan: that permits you visiting the two masterpieces of the Ancients that were built during the reign of Ramses II. Everything about these two statues is gorgeous starting from the paintings, the hand-carved pillars, carvings, and many other things that make Abu Simbel one of its kind. Edfu Temple: is an Ancient city that is located between Esna and Aswan. It’s the site of the Ptolemy Temple of Horus. Kom-Ombo Temple: is a unique double temple that was constructed during the Ptolemaic dynasty for two sets of Gods. -Trips to Cairo: that will you explore another world starting from the Great Giza Pyramids Complex in which you are going to see the great pyramid of Khufu and the astonishing Sphinx. You are also going to have a chance to visit the fascinating Valley Temple. -A tour to the Monastery of St.Simeon: that was dedicated to the Coptic saint Abba Hendra. It was constructed in the 7th century. -Having a camel ride; that lets you be in the Ancient sites to enjoy the beautiful Nubian surroundings of the desert. -A Nile Felucca to Kitchener’s Island: is the home to the most spectacular gardens in the world. It’s considered to be Aswan’s second major island that was given as a gift to king Kitchener for his efforts in the Sudan Campaign. Also, you can visit Aswan with another destination in Egypt through our Egypt tour packages, check it and choose your dream vacation in the land of pharaohs.